Shaped by industry leaders, GROW:OffshoreWind offers your business direct access to market experts, technological know-how and funding support. For more details contact us on 0843 886 6468 E-mail: E-mail: design@p1design.co.uk. We have secured a 3 month contract with a company in the modular building industry based in the Midlands. We will be the main engineers behind the scenes making sure the system is designed to function, fits to the architects specification and is manufactured and assembled as economically as possible to a high standard. For more details contact us on 0843 886 6468 E-mail: E-mail: design@p1design.co.uk. Great news! MAS Funding can help with the design, development and prototyping of a new product being designed for manufacture. For more details contact us on 0843 886 6468 E-mail: E-mail: design@p1design.co.uk. A seminar focussing on the specialist subject of R & D (Research and Development) tax credits was recently held Stocksbridge, hosted by P1 Technology and The FD Centre. P1 Technology client were invited to attend. What is the process to obtain tax credits? What exactly is R and D and what qualifies for tax credits? We have teamed up with RJL Plant to offer a full design, modification and repair service for Plant and machinery used in the building, quarrying, mining and construction industries. With the design skills at P1 Technology and the hands on experience and knowledge at RJL Plant our service for the industry is second to none. As part of the P1 Technology group of companies, P1 Engineering has become a distributor for Camozzi Pneumatic components. We are now able to offer a 40% discount off list prices. Visit www.camozzi.com to see if require pneumatic components and give give us a call! As an established leading Design Consultancy for Plastic Injection Moulding, P1 Technology has joined Electronics Yorkshire to get to know the best companies to team up with for Electonics Design. Please get in touch on for more information. 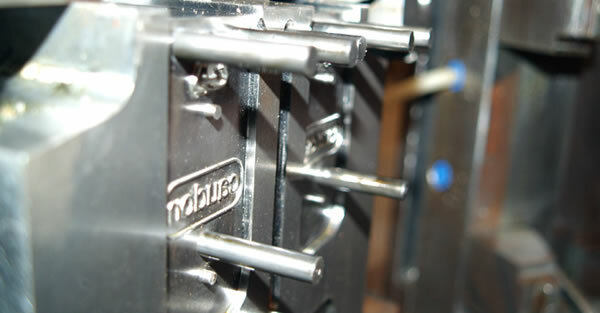 The past 6 months have seen a requirement for injection mould optimisation. A CAD design might look good, but have you asked yourself if it can be made, and how efficiently? We have successfully optimised a diverse range of products; a casing for a care home security product for Network Communications in Doncaster, to a plastic sewage valve for Norham Plastics. Both of these companies were able to access funding through MAS and Business Link respectively to help realise their ideas, add new products to their range, or improving existing ones. Their success stories prove that even in these difficult times where budgets are a concern, you can still push product development forward. The sooner we can get involved as moulding consultants in the design process the better; we help save time and money, compressing the time to market for your idea. Call us today on 0843 886 6468 or email design@p1technology.com to discuss how we can help with your product ideas or how we can support you with your projects.